A local designer and weaver based in Madaba, Jordan, Fihmi first began weaving in Egypt before moving to Jordan to start his business producing and selling his own Bedouin inspired, hand-loomed rugs. The creativity, spirit, and attention to detail that Fihmi put’s into his work are evident in the final product. Fihmi’shand-woven rugs made exclusively for From the Earth are all natural wool, containing no dye. Thick and warm, these rugs are perfect for marble, tile, or hardwood surfaces. 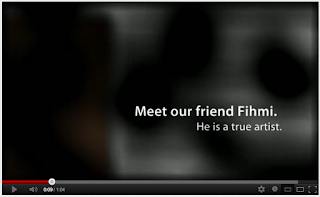 If you haven't yet, watch the video introducing Fihmi's rugs. If you are interested in having one of his handwoven rugs in your home, jump over to Amazon, Amazon UK, or come visit us in Amman. Both the large and small sizes are available at all locations.